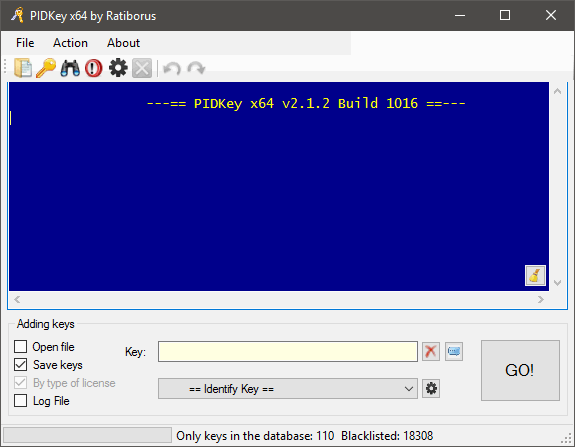 PIDKey — This program was made to view, update and store information about Microsoft product keys into a log file. In many cases, it allows you to replace the VAMT. Run PIDKey.exe, select the desired configuration, insert the key into the input field then click GO!.. Identifying the key configuration will be checked against all configurations starting at the beginning of the list until correct data is retrieved. Size: 10,45 / 7,14 MB.